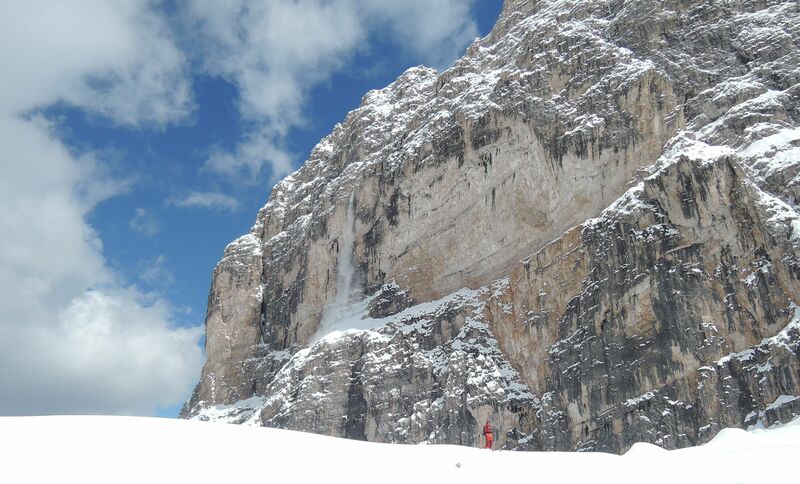 The Dolomite traverse is a fascinating tour through the UNESCO mountains. Breathtaking panoramas, dizzying slopes, fresh snow, wonderful ski-days to end up in welcoming chalets and huts. You will have the chance to taste the excellent “Ladin” cuisine and appreciate the well-known hospitality of the hinabitants of this slice of heaven. 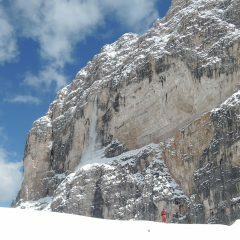 you will visit everyday a different valley, sorrounded by the most famous Dolomites peaks: marmolada, Cristallo, Tre Cime di Lavaredo, Pale di San Martino just to mention some. 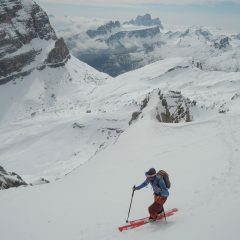 A unique experience which every mountaineering skier or freerider should do at least once in his/her life. We have always skied in these districts and we know them very well. 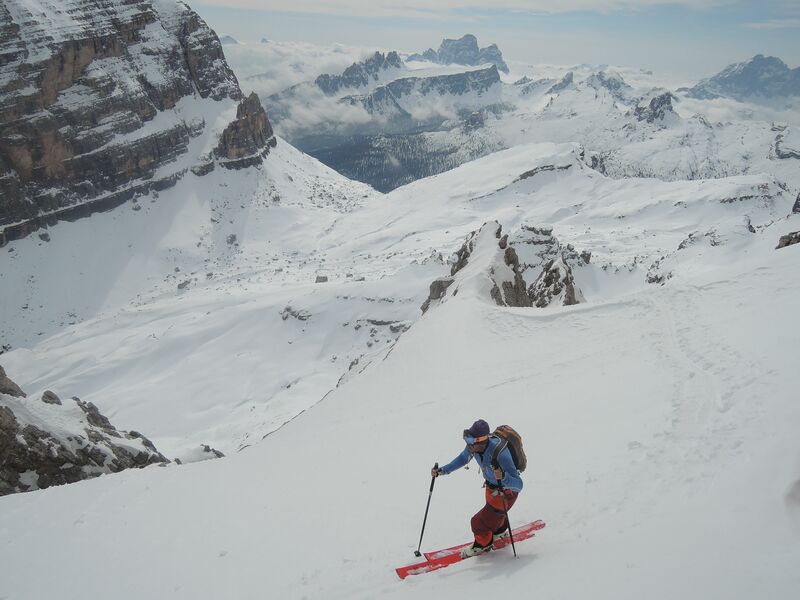 However last year, while working on a mountaineering ski-guide, we decided it was about time to propose an itinerary that could group some of the routes we normally offer for one day only. We developed three different itineraries: easy, medium and difficult. The starting point is alway San Martino di Castrozza and the final destination is Sesto Pusteria, passing through Passo San Pellegrino, canazei, Corvara, Cortina and Misurina. We will value which are the best routes based on your level and the snow conditions. 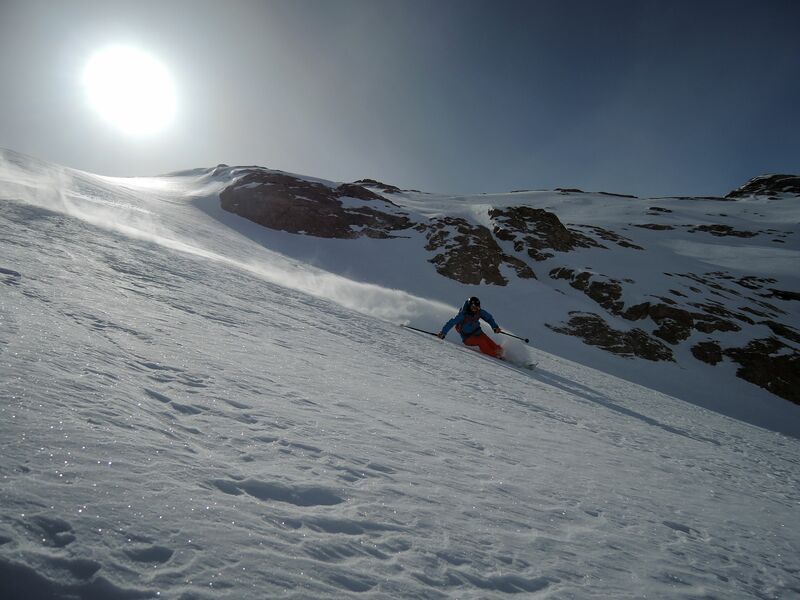 The tour lasts 6 days, the altitude gain varies from the itinerary chosen and the use of the lifts: the minimum altitude loss (to ski) is 1500m per day. In other words: a blast! Meeting Saturday night to check the equipment and for the details. Leaving on sunday morning and back on Friday night. For those who don’t want to do the 6 days traverse, there is the possibility to interrupt the tour before i nagreement with the guide. Difficulty: medium. A minimum experience off-piste is required. Strenght to skin up 700 m high. 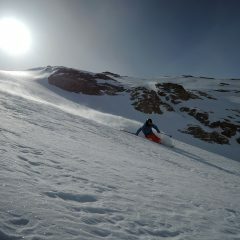 The tour is suitable als ofor snowboarders with splitboard. Price: 1000€ per person. min. 4 participants, max. 6 participant with each guide.